Nowadays, technology has become an undisputed part of everybody’s life. Smartphones and laptops are also a part of this technology which we use continuously. Due to the continuous usage, their batteries needed to be charged regularly. 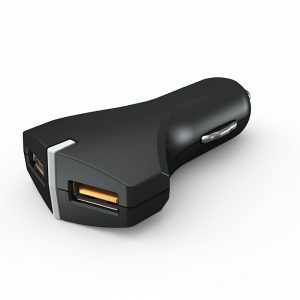 It is an easy task when you are at home or any other place where you have a plug-point to charge the battery. But, what if you are travelling in the car? This is where the car charger comes into play. 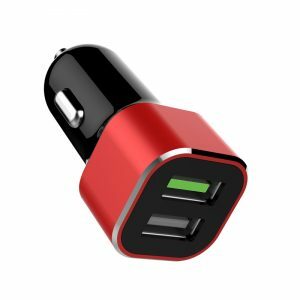 The QC 3.0 Car charger we supply is a high-efficiency and fast car charger with a QC 3.0 USB that boosts the charging process. These chargers are 4 times faster than USB 2.0 charging. They provide safe charging while travelling and are effective even on bumpy roads due to wider circuitry contacts of stainless steel on both the sides. They are compatible with almost all types of mobiles, tablets and laptops. With a smart-charging design and an auto-power source recognition feature this charger provides an enhanced charging experience. Additionally, it is protected from over-heating, over-voltage, over-current and short circuiting. The product has DC 12-24 V input and DC 3.6-6.5V/3A, 6.5-9V/2A, 9-12V/1.5A output. The material used are aluminum, aluminum ring and PC shell and ABS+PC. The product undergoes strict quality tests and has got TUV ISO 9001, CE, FCC, UL, RoHS certificates. 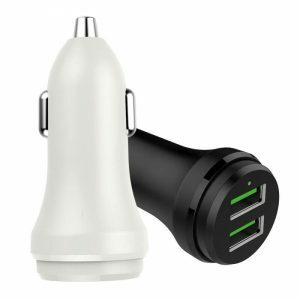 Contact us if you want to buy the QC 3.0 Car charger; It is a necessity in today’s world.